- Read these Terms carefully before using www.xcite.com. - Print a copy for future reference. We reserve the right to change these Terms and conditions at any time. Any such changes will be deemed to have taken effect when posted on www.xcite.com (see date at the top) and it is your responsibility to read the Terms on each occasion you use www.xcite.com. By accessing www.xcite.com, registering an Account or using the Services offered by Alghanim on the Website, you agree to be bound by the Terms. If you do not agree with all or any of the Terms, your sole recourse is to discontinue your use of www.xcite.com. 2.1 In order to access certain functions of the Service, including the ability to order and purchase Products, you must register and create an account on www.xcite.com, secured by a password (the “Account”). Any Account so created is personal and exclusive to you and is non-transferable to any third party. 2.2 If you register and create an Account, you are a “Registered User”. To be a Registered User, you must be 21 years of age and must provide true and accurate information (including your name, date of birth, e-mail address, credit/debit card details and other details) as requested during the Account creation process. Subject to applicable law, as a parent or guardian of a minor aged between 18 and 21, you may permit such minor to use your Account, on the basis that you remain fully liable for use of the Account and for any use of the Service by such minor through your Account. We may carry out further checks to verify your age with a registered credit reference (or similar) agency and, if we are unable to verify you are over 21 years, we may cancel your order. 2.3 By registering at and using www.xcite.com, you warrant that the information provided by you in the course of the registration process is true and accurate and you undertake to ensure that such information is kept updated. 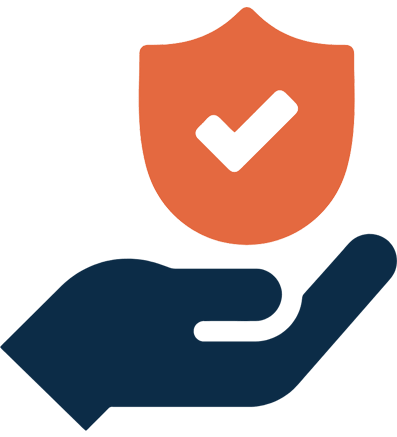 You are responsible for maintaining the confidentiality of your Account and agree to accept responsibility for all activities that occur under your Account. In the event that you have any concerns regarding your Account or become aware of any misuse then you must inform us immediately (see Contact Us for more information and contact details). 3.1 As a Registered User, you may order and purchase Products through the Service. 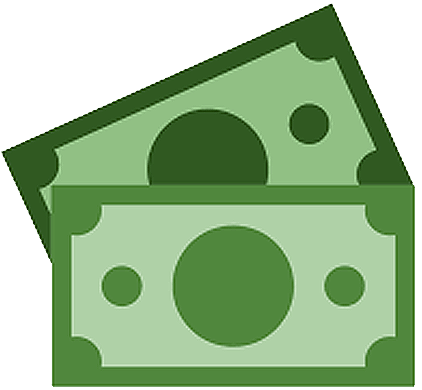 If a payment is applicable to your order for a Product, you agree to pay the full amount for that Product as indicated during the order process, including shipping costs or other charges that may be applicable to such order. You may see our Payment and delivery terms below, or refer to our Help & Services section by clicking here on how to use www.xcite.com and for information on how to place an order. All orders that you place on www.xcite.com will be subject to acceptance in accordance with these Terms. 3.2 The “confirmation” stage sets out the final details of your order. Following that, we will send to you an order acknowledgement e-mail, detailing the Products you have ordered. You may note that this e-mail is not an order confirmation or order acceptance by us. 3.3 After acceptance of your order, completion of the contract between you and us will take place on dispatch of the Products ordered to you if you have paid through your Card or at the delivery of Products at your address, however subject to our receiving full payment for the Products, unless we have notified you that we do not accept your order or you have cancelled it ( refer to Returns are Easy section for details). 3.4 We may not retain details of your order for you to subsequently access on www.xcite.com. Therefore, we suggest that you print these Terms and the order acknowledgement for your own records. 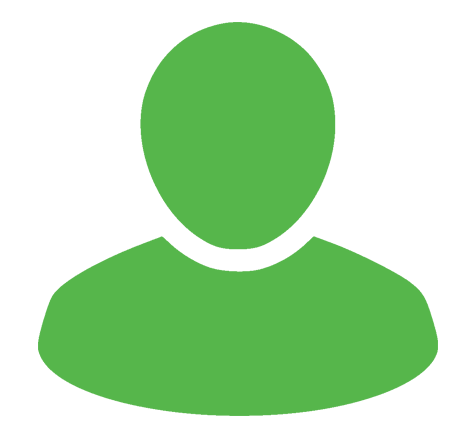 If you wish to obtain specific details of your previous orders, you may Contact Us by clicking here and you will be directed to our Customer Service contact page or you may call our customer service hotline at 180-3535. 3.5 From time to time there may be errors in the pricing of the Products that appear on the Website or during the order process. There may also be errors in transmission resulting in interruption of your purchase. Alghanim will in good faith try to resolve any issues that may arise as a result of such errors. You agree to cooperate with Alghanim to resolve such issues, and you agree that Alghanim shall have full discretion to determine the appropriate resolution in such cases. 3.6 Parties other than Alghanim may operate stores, provide services or sell their Products on www.xcite.com. Your purchase from these third party sellers are charged at the time you place your order and will be in accordance with the Terms as well as any other terms and conditions that such third party sellers may include. Alghanim does not warrant the offerings of any of these third party businesses or individuals and purchasing from such third party businesses or individuals is done at your own risk and cost. 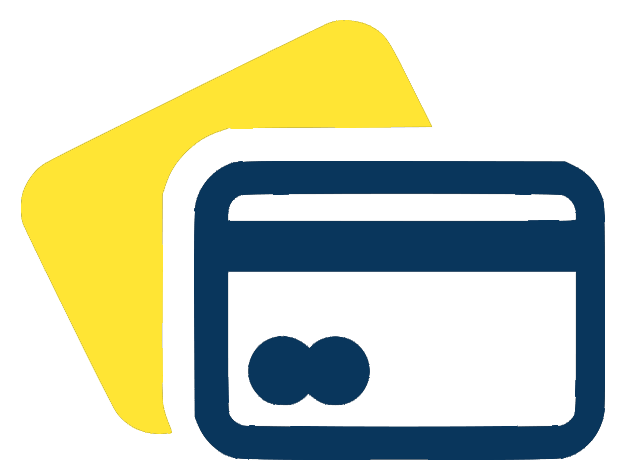 4.1 We take payment from your credit or debit card (“Card”) at the time we receive your order for the relevant Products, after we have checked your Card details. We also accept cash or Card payment on delivery of the Products, subject to the conditions mentioned at Section 5 below. Products are supplied subject to availability. In the event that we are unable to supply the Products, we will inform you as soon as possible and a full refund will be given where you have already paid for the Products. 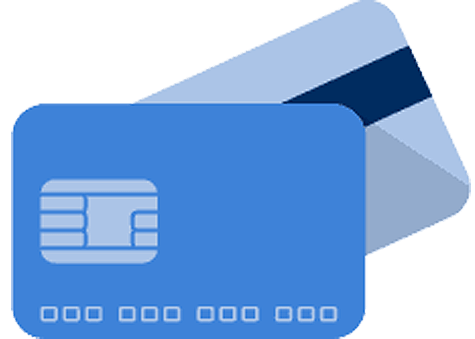 4.2 To ensure that your Card is not being used without your consent, if you select Knet as your favored payment method we will direct you to the Knet payment gateway where you will be asked to enter your Card details (e.g. card number, expiration date, & pin code). Alternatively, if you chose Visa/MasterCard as your preferred payment method you will be directed to the MasterCard Internet Gateway Service website (MiGS), where you will be required to enter your Card details (e.g. card number, expiration date & pin code). 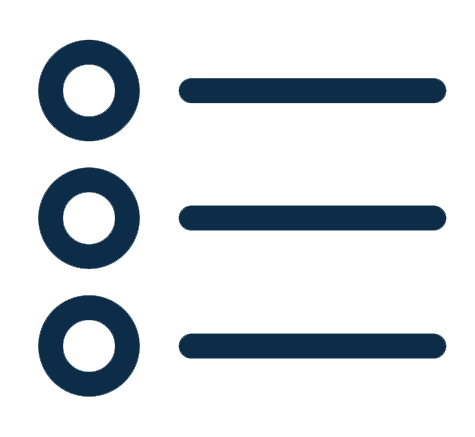 We may validate your name, address, and other Personal Information provided by you during the order process against appropriate third party databases. By accepting the Terms, you consent to such checks being made. In performing these checks, Personal Information provided by you may be disclosed to a registered Credit Reference Agency (Knet or MiGS), which may keep a record of that information. You may note that this is done only to confirm your identity and that your credit rating will be unaffected. All information provided by you will be treated securely and strictly in accordance with the applicable law. 4.3 Responsibility to verify the Customer and Customer’s Card Information, and to rightfully authorize the transaction deducting payments from the card lies with the respective payment gateway and /or the issuer bank of the card being used. Alghanim is not liable for any losses or damages occurring out of fraudulent transactions happening due to attacks or breaches on any payment gateway, attacks or breaches on issuer banks, or due to Customer’s Card details, PIN verification details, password verification details or any other details authorizing purchase on the payment gateway being acquired by persons of malicious intent or persons who may not be the rightful owners of the card. 4.4 The price you pay for the Products ordered is the price displayed on www.xcite.com at the time we receive your order, subject to the following exceptions. While we try to ensure that all prices of the Products on www.xcite.com are mentioned accurately, it is possible that errors may occur. 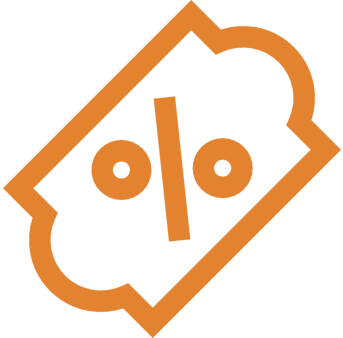 If we discover an error in the price of Products you have ordered, we will inform you as soon as possible and give you the option of reconfirming your order at the correct price or canceling such order. If we are unable to contact you, we will treat the order as cancelled. If you cancel and have already paid for the Products, you will receive a full refund. 4.5 Payment can be made by any method specified at www.xcite.com. For information about secure online ordering, see Security. 4.6 Risk of loss or damage and Title to any Products you order on www.xcite.com shall pass to you on delivery of the Products at the address provided with your confirmed order or on the date of first attempted delivery by us, however subject to us having received full payment for the Products. 4.7 All prices are shown in Kuwaiti Dinar (KD) and include taxes (if applicable) at the applicable current rates but exclude delivery charges, unless expressly stated otherwise (see Home Delivery Information and Delivery & Installation for further details including delivery charges). 5.1 Cash is to be presented to our authorized customer service representative for collection on the spot prior to receiving delivery of the Products ordered. Our customer service representative will also carry a mobile payment terminal for you to make payment by Card (KNet, Visa/Mastercard). 5.2 Upon receipt of full payment, the customer service representative will hand over the Products with the invoice and the delivery note. 5.3 It may be noted that we do not accept payments by cheque or gift vouchers or discount coupons in place of cash or Card when using Payment on Delivery option (Discount Coupons if applicable, should be applied prior to checkout). 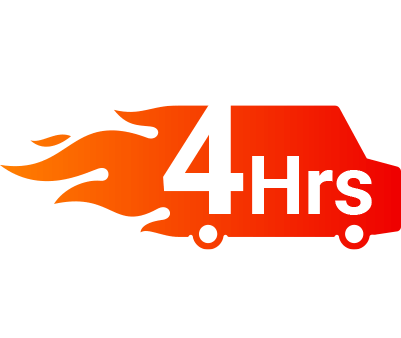 5.4 To ensure prompt and timely delivery, the customer will be contacted atleast 30 minutes prior to delivery. 5.5 Ordered Products cannot be withheld by the customer on credit. Payment for the Products ordered is to be made at delivery. It may be noted that the person taking delivery of the Products should be the Registered User who had ordered the Products or his/her authorized person, providing adequate proof of such authorization. 5.6 In the event where you are not at home or at the specified location for order delivery, the customer service representative will wait at the address mentioned for a grace period of one hour with your ordered Products. Inability to establish contact during that time will prompt him to depart and a call will be made again later in the day. Should that fail, the order will be returned for another attempt on the following day. 5.8 In case our customer service representatives are unable to reach the customer within 24 hours of placing the order; it will automatically be deemed as cancelled. 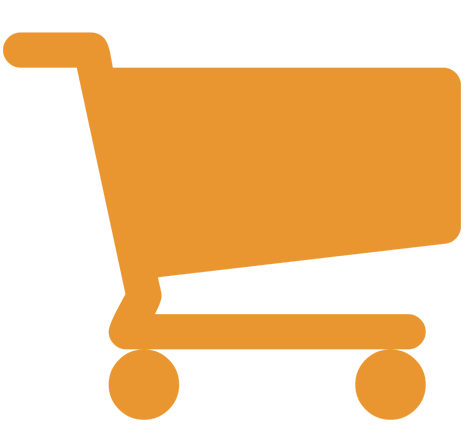 5.9 Payment on Delivery option is not available for all Products and Products covered under the Pre-Order category, but is available for select Products as can be seen on the Website during your purchase of Products. 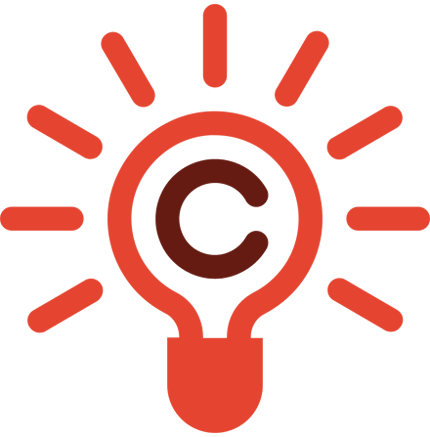 6.1 You acknowledge and agree that all copyright, trademarks and all other intellectual property rights in all materials and/or content made available as part of your use of www.xcite.com shall remain at all times vested in us or our licensors. You are permitted to use this material and/or content only as expressly authorized by our licensors or us. 6.2 All Product names, trade names, service names, tag lines, or logotype distinguished in form, text, or otherwise from surrounding text (e.g., all capital letters), (collectively, “Marks”) are trademarks owned by or licensed to Alghanim, unless otherwise noted. The Marks on www.xcite.com are variously protected by the laws of the State of Kuwait and other countries. Use of any of these Marks may not be made without the prior written consent of Alghanim, except for the sole purpose of identifying the Products or Services originating from Alghanim. 6.3 You acknowledge and agree that the material and content shown at www.xcite.com is made available for your personal non-commercial use only and that you may download such material and content only for the purpose of using this Website. You further acknowledge that any other use of the material and content of www.xcite.com is strictly prohibited and you agree not to (and agree not to assist or facilitate any third party to) copy, reproduce, transmit, publish, display, distribute, commercially exploit or create derivative works of such material and content. 6.4 The Website may provide the opportunity for Registered Users to post reviews and other comments, questions, suggestions, or other information (“User Content”) on www.xcite.com. You warrant that any such User Content submitted by you to www.xcite.com is original (and does not infringe the copyright of others), and you hereby grant Alghanim a perpetual, irrevocable, non-exclusive, royalty free license to use such User Content so submitted, without any further recourse to you, and you hereby waive all rights in such User Content. You agree that you will not post any content that is contrary to public moral or is defamatory, inflammatory, that infringes copyright, or that may otherwise breach common decency or be contrary to law. 6.5 Alghanim has the right but not the obligation to monitor and edit or remove any activity or User Content, and takes no responsibility and assumes no liability for any User Content posted by you or content posted by any third party. 7.1 Alghanim does not warrant that the Website or any of the Services or Products available through it will be uninterrupted or free from errors. There may be delay, omissions, interruption, and/or inaccuracies in materials or Service available through www.xcite.com. 7.2 Alghanim makes no representation or warranties about the accuracy, completeness, timeliness, reliability, or non-infringement of any content on the Website or Services available through it. 7.3 Although Alghanim takes reasonable steps to prevent the introduction of viruses, worms or other malicious code to www.xcite.com, Alghanim does not represent or warrant that the Website, or the Service or Products or materials that may be made available through www.xcite.com are free from such destructive features. Alghanim is not liable for any damages or harm attributable to such features or arising directly or indirectly from such features. 7.4 In no event shall Alghanim be liable to you or to any third party for any direct, incidental, indirect, special or consequential losses, damages whatsoever (including, but not limited to, lost profits, business interruption, loss of programs or other data on your information system), even if Alghanim has been advised, knew, or should have known of the possibility of such damages, arising out of or related to: (i) your use of or reliance on www.xcite.com, any information, hyperlinks or content contained therein, or Services included on or otherwise made available to you through www.xcite.com; (ii) your provision of information, personal or otherwise, to Alghanim; (iii) the provision of Services by Alghanim; or (iv) acts or negligence on the part of Alghanim, its agents or employees. 7.5 TO THE FULLEST EXTENT PERMITTED BY LAW, ALGHANIM DISCLAIMS AND EXCLUDES ALL WARRANTIES AND REPRESENTATIONS, EXPRESS, IMPLIED OR STATUTORY, WITH RESPECT TO THE WEBSITE OR ALGHANIM’S SERVICES, OR WITH RESPECT TO THE ACCURACY, CURRENCY OR COMPLETENESS OF THE INFORMATION PROVIDED BY ALGHANIM, INCLUDING THE IMPLIED WARRANTIES OF MERCHANTABILTY OR FITNESS FOR A PARTICULAR PURPOSE AND NON-INFRINGEMENT OF A PATENT, TRADEMARK OR OTHER INTELLECTUAL PROPERTY RIGHT. THE WEBSITE, INCLUDING, WITHOUT LIMITATION, ALL CONTENT, INFORMATION AND LINKS CONTAINED THEREIN, IS PROVIDED “AS-IS” WITHOUT ANY WARRANTY THAT IT WILL BE UNINTERRUPTED OR ERROR FREE. YOU EXPRESSLY AGREE THAT YOUR USE OF THIS WEBSITE IS AT YOUR SOLE RISK. 7.6 Notwithstanding anything herein to the contrary, Alghanim’s aggregate liability (whether in contract, tort or otherwise) for any loss or damage that you may incur on any account whatsoever, arising out of your use of the Website, shall be limited to a sum equal to the amount paid or payable by you for the Product(s) in respect of one incident or series of incidents attributable to the same cause. 7.7 We will take all reasonable precautions to keep the details of your order and payment secure, but, unless we are negligent, we cannot be held liable for any losses caused as a result of unauthorized access to information provided by you. If you use www.xcite.com, you are responsible for maintaining the confidentiality of your Account and its password and for restricting access to your computer, and you agree to accept responsibility for all activities that occur under your Account or password. www.xcite.com is not intended for selling Products to children, but only to adults who can purchase with a Card or other permitted payment method. If you are under 21 years of age you can use www.xcite.com only with the permission and involvement of your parent or guardian, subject to applicable law. 7.8 Alghanim reserves the right to refuse Service, terminate Accounts, remove or edit content, or cancel orders anytime at their sole discretion. 7.9 By using www.xcite.com and/or the Service, you agree, to the fullest extent permitted by law, to indemnify and hold Alghanim, its directors, officers, employees, affiliates, agents, contractors, and licensors harmless with respect to any claims arising out of your breach of these Terms, your use of www.xcite.com or the Service, your non-compliance with applicable law or regulations in the jurisdiction in which you are accessing www.xcite.com or the Service, or any action taken by Alghanim as part of its investigation of a suspected violation of these Terms or as a result of it’s finding or decision that a violation of these Terms has occurred. 8.1 Your use of the Website and the contract between you and Alghanim shall be governed by the law of Kuwait, without regard to the conflict of law rules and any dispute between you and Alghanim will be resolved exclusively in the courts of Kuwait. 8.2 We have selected the Products on the basis that they will be used for personal use only. If you are planning to use them for business purposes you are advised to make sure that you are covered by a proper insurance plan. Where you decide to use the Products in the course of a business, we exclude (to the fullest extent permitted by law) those warranties and conditions relating to fitness for a particular purpose. Our maximum liability to business users arising out of or in connection with the Products shall be limited to the replacement value of the Product in question (except in the case of death or personal injury caused by our negligence or in respect of fraud). In relation to business users, we do not accept liability for the fitness of Products for business purposes, nor do we accept liability for loss of use of the Product, nor any loss over and above the cost of the Products in the event of a claim for breach of warranty or condition. 8.3 Alghanim shall be under no liability for any delay or failure to deliver Products or otherwise perform any obligation as specified in these Terms if the same is wholly or partly caused by events of Force Majeure and/or caused, whether directly or indirectly, by circumstances beyond its reasonable control. For the avoidance of any doubt, Force Majeure events shall, without being limited, mean and include events of war, riots, civil war, rebellion, earthquake, cyclones, flood or any other natural physical disaster and/or acts of God. 8.4 Any links or references to other Internet sites (“hyperlinks”) contained on www.xcite.com are provided by Alghanim merely as a convenience to users of www.xcite.com, and Alghanim is not responsible for the content or operation of any such linked Internet sites. Any hyperlinks to such linked Internet sites should no way be construed as an endorsement, representation or promotion by Alghanim as to the content, representation, accuracy, products or services found or otherwise described in such linked Internet sites. Use of those linked Internet sites/hyperlinks is done at your own risk and cost. 8.5 You agree that you will not assign, transfer, or sub-contract any of your rights or obligations under these Terms or any related order for Products to any third party, unless agreed upon in writing by Alghanim. 8.6 Alghanim reserves the right to transfer, assign or sub-contract the benefit of the whole or part of any of its rights or obligations under these Terms or any related contract, to any third party. 8.7 If any part of these Terms is held by any competent authority to be invalid or unenforceable in whole or in part, the validity or enforceability of the other Terms shall not be affected. 8.8 These Terms do not create or confer any rights or benefits enforceable by any person that is not a party, except a person who is a permitted successor or assignee, named as such under Section 8.5 or 8.6. 8.9 No delay or failure by Alghanim to exercise any powers, rights or remedies under these Terms will operate as a waiver of them nor will any single or partial exercise of any such powers, rights or remedies preclude any other or further exercise of them. Any waiver to be effective must be in writing and signed by an authorized representative of Alghanim. 8.10 These Terms including the documents or other sources referred to in these Terms supersede all prior representations, understandings and agreements between you and Alghanim relating to the use of www.xcite.com (including the use of Services and/or order of Products) and sets forth the entire agreement and understanding between you and Alghanim for your use of www.xcite.com. 8.11 When you visit www.xcite.com or send e-mail to us, you are communicating with us electronically. You consent to receive communication from us electronically. We may communicate with you by e-mail or by posting notices on www.xcite.com. 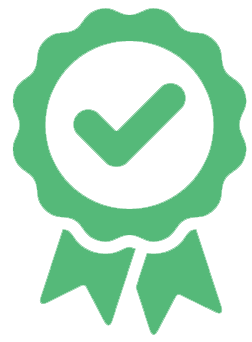 You agree that all agreements, notices, disclosures, and other communication that we provide to you electronically satisfy any legal requirement that such communication be in writing. 9.1 Discount Coupons distributed by us, if any, are redeemable only at www.xcite.com, unless stated otherwise. 9.2 Discount Coupons are valid during the promotional periods for which they are issued. 9.3 Discount Coupons are valid from their date of issue until the mentioned expiry date. 9.4 Discount Coupons if being used for online ordering, must be used prior to checkout. 9.5 It may be noted that a Discount Coupon cannot be used twice or partially used or exchanged for shopping credit. 9.6 Only one Discount Coupon can be used per order/online transaction. However, it may be noted that multiple Product purchases using one Discount Coupon is allowed. 9.7 All Discount Coupons issued are valid for use in Kuwait only. 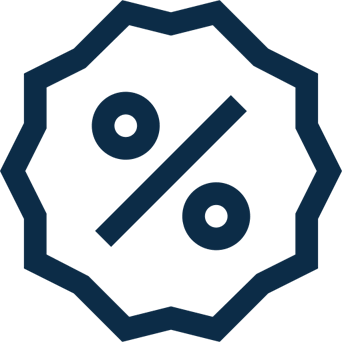 9.9 We reserve the right to exclude without any advance notice, the use of Discount Coupons on special limited-time promotions that we offer on the Website from time to time. 10.1 Online discount sales/ promotional sales are applicable towards those Products that are shown as such on the Website, from time to time. Sale of such Products shall be subject to the terms and conditions as shown for those Products on the Website at the time of such sale and also the Terms mentioned herein. In the event of any inconsistency being noticed between the terms of such discount sales/promotional sales and the Terms mentioned herein, Alghanim reserves the right to interpret and clarify any such inconsistency. Any decision made by Alghanim in this regard shall be final and binding. 11.1 Your Pre-Order is also subject to the Terms. 11.2 You can find the official launch date for your pre-ordered Product on our Website and on the Product page. 11.3 We commence delivering Pre-Orders on the day of the advertised Product launch date, provided we have received full payment for such Pre-Order. Standard Delivery timelines will commence as soon as the pre-ordered Product is available. 11.4 Payment for the Pre-Ordered Product will need to be made alongwith the Pre-Order. 11.5 Return or replacement of Pre-Ordered Products cannot be made, unless made in accordance with the Returns are Easy policy mentioned at Section 13, herein below. 11.6 Active online discount promotions running during a period that is prior to the release date of the Pre-Order are inapplicable on the Pre-Ordered Product. Online discount promotions will not be applied on Pre-Orders of which the release date of the Pre-Order does not coincide with the promotion. We are committed to selling high quality Products that we hope you enjoy using. Nonetheless we also know that, for one reason or another, there may be occasions when you need to exchange or return something you have bought. You must therefore make sure that you check your Products carefully at the time of delivery before they are used or installed. We also recommend that you keep your delivery receipt and copy of your order, which is accessible from your online profile at www.xcite.com, as proof of purchase in the event of any after-sales queries. 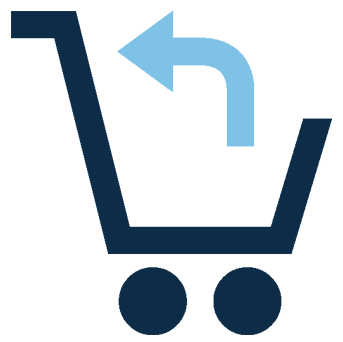 Products purchased can be returned or exchanged within fourteen (14) days from the purchase date, subject to the conditions of this Section 13. All sizes and measurements of the Products are approximate but we do try to make sure that they are as accurate as possible. It may be occasionally possible that the Product specification from the manufacturer may change or we may have trouble with the supply of certain Products and may therefore supply a substitute of the same or better quality at the same price. If you are not satisfied with the replacement or substitute, you can return such Products in accordance with the conditions of this Section 13 or opt for either gift coupons or an exchange Product for the amount you had initially paid. - If you would like to return something we have delivered or in process of delivery within the fourteen (14) day window, you may contact our Customer Service Center by clicking here and we will collect it free, if delivered. Your order number will count as your receipt. - We accept return of the Products purchased by you or replace them, provided they are in good condition, saleable and merchantable. If the purchased Products– because of their nature or the way they are packaged or wrapped- can never be reinstituted to the position as they were at the purchase date or can never be offered for sale to the general public, then we may have the right to reject their return or replacement unless for a manufacturing defect that was not apparent to you upon purchasing and unless you have been informed of and accepted such defect. - The Products to be returned or replaced do have a defect, do not comply with the specifications applicable at Kuwait, or if the existing defect cannot be made good without affecting the quality of such Products. If the quality of the Products will not be compromised, we may have the right to reject replacement or return of such Products. - Products can be replaced or returned if they are not genuine or are counterfeit. It may be noted that we do not charge any extra fee for the return or replacement of Products. - We may have the right of not accepting the return or replacement of Products, if they were sold during special promotions and/or sales. - We have the right not to replace or return specific Products like watches, food items, undergarments etc. that come in contact with skin, unless for manufacturing defects or non-compliance with the prescribed specifications or standards or if the Product sold is different from the Product paid for by you. In such cases, we may provide alternative Products unless we agree otherwise with you. * You may note that refunds are made in the same manner as you made the purchase or or you have the option to accept gift coupons or exchange Product for the amount you had initially paid, as you may choose to specify when you contact our customer service centre or fill the contact form on the Contact Us page. - All Products purchased from www.xcite.com will be covered with a one (1) year warranty. The extended warranty program if purchased by you, will be considered in addition to the first year full warranty gained from supplier. - Content, game software, ink and toys are excluded from our Warranty. - We shall not be responsible for any of your/customer’s misuse or illegal use including resale or export to embargoed countries of any Products, their spare parts or technical documents. Notwithstanding the foregoing, you/ the customer specifically agree that Products purchased from the Website will not be used for activities related to designing, developing, producing or usage of nuclear weapons or weapons of mass destruction. You/customer agree not to sell, lease, or otherwise transfer Product(s) to end-users engaged in these activities and shall be liable for any such activity. We assume no liability whatsoever nor provide any warranty support or service in respect of a Product which has been exported/ used in violation of this provision. - Cooling systems (Freezers, Refrigerators, Window type Air-Conditions, Chest Freezers, Water Coolers) are covered in general for 5 years warranty for compressors only. There is no extended warranty for the compressor after the supplier warranty period of 5 years. This does not take into account the water dispensers that carry a single year warranty. - However where labor charges, transportation, consumable materials are applicable, you should pay the same after the first year warranty coverage. Exclusions from coverage under LCD & Plasma TVs, LCD & DLP Projectors & DLP TVs. - Improper installation, tampering with components or software/firmware update by an unauthorized repair center resulting in mechanical failure. - Physical damage to any part of the TV for any reason including but not limited to water or moisture damage, improper usage of the product, dropped product, collision with another object, transportation damage, damage to the outside casing, abuse, misuse, neglect, vandalism, accidents, collapse, spillage of any kind, fire, flood, corrosion, rust, sand, dirt, lightning, freezes, storms, theft, intentional or accidental damage. - Mechanical failure of any part of the TV resulting from physical damage to the TV, abuse, neglect or spillage, battery leakage, intentional or accidental damage, electrical service, environmental conditions. - Warranty does not cover lifetime of lamps & CRTs; dimming lamps; exploding lamps, weak CRTs. Additionally the warranty terms do not cover installation of an incorrect lamp in a DLP, LCD rear projection TV, or LCD projector. - Televisions with removed or altered serial/model numbers. - Plasma & CRT burn-in (sticky) images caused by prolonged display of one or more signals or video games, or other abuse. 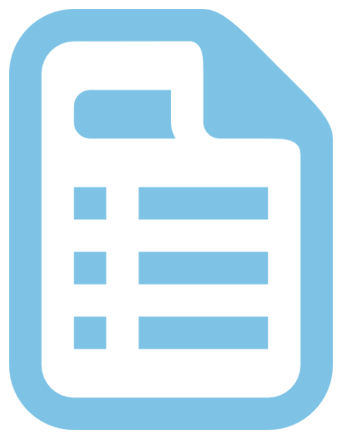 - All display Products that are used in a commercial operation; Products used for commercial purposes, Products provided for public use or rental. - Spoiled, deformed, or scratched screens and/or reflective coatings on screens & lenses due to misuse or rubbed by any chemicals/substances. - The Warranty terms do not cover televisions that are installed in an outdoor open area, or either by a swimming pool or in a coffee shop due to harsh environmental effects like high temperature, dust, humidity, or smoke exposure. - If the unit is damaged by your misuse or by the mistake of customer, the unit will not be replaced but may be repaired at your responsibility & with minor charges. - In case the same model is not available in the showroom, you can select another model by paying the difference. - The same warranty will continue for the new product. - Service calls to repair or replace, filters (all types), Remote controls, disposable dust-bags, batteries, hoses (all types), heads accessories (all types, brushes, etc. ), shelves, handles, drawers, cleaning products, plastic parts, antennas, wheels, bottom switches, broken parts, handles, burned lamps, carrying cases, adapter. - Any damage or malfunction caused by negligence, abuse, etc. - Our service liability under this warranty is strictly limited to the repair or replacement of parts, at our sole discretion, as deemed appropriate and we shall not be liable for any direct or indirect, special or consequential loss, damage, costs, expenses or other claim (whether caused by negligence of service, its agents or authorized dealers or otherwise) or any contingent or resulting liability arising out of or in connection with any failed or defective parts. - The warranty shall become invalid if your product or any part is broken or has been tampered with. NOTE: Any out of warranty work is guaranteed for a period of one month after it has been returned to you, for the same failure that was repaired. - Products with manufacturing defects are not repaired, they are replaced. -Any repair of Products after the warranty period will be charged. -Generally, we return Products after servicing within 3 working days. -You have the right to replace the Product in case of manufacturing defect that cannot be repaired during warranty period. The exchange must be confirmed with a Technical Report provided by X-cite service center. -From invoice date until six months, no depreciation. - Six months to one year, 10%. - Fifth year, 55%. If you’ve had the Product for up to one year, we’ll repair the Product for you. 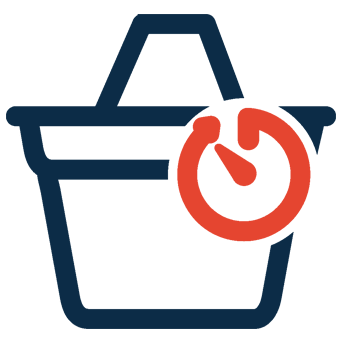 Exact delivery time will depend on the accuracy of the delivery address details you provide. 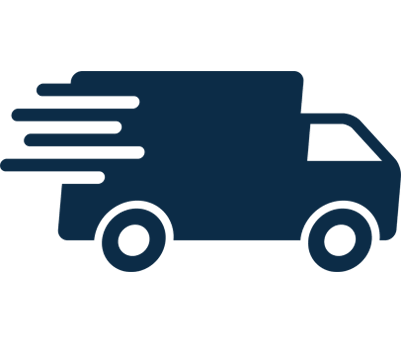 We normally deliver the purchased Products as soon as possible from the time of order placement (checkout) including but not limited to air-conditioners and home furnishing Products. 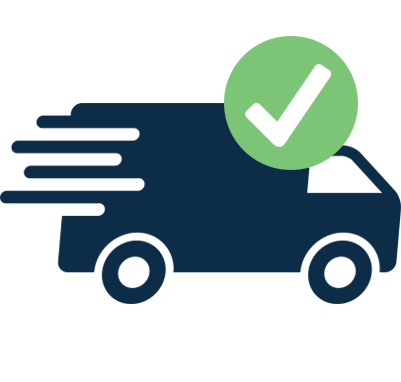 We make every effort to deliver Products within the estimated delivery time, however, occasional delays are possible due to unforeseen circumstances. Alghanim shall be under no liability for any delay or failure to deliver the Products within the estimated delivery time. 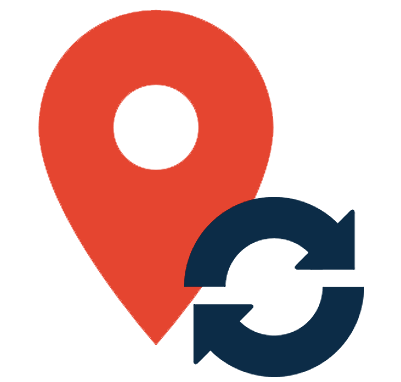 You will have the opportunity to review, change, update, or add delivery address details every time you place an order (checkout). 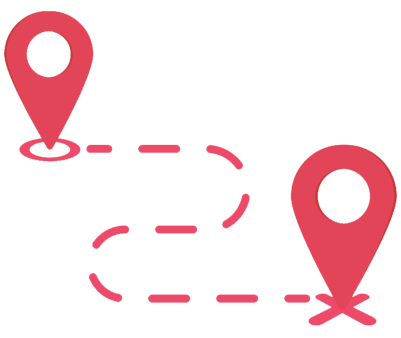 You can also specify a different delivery address while ordering and have your order delivered to your workplace, or a friend’s delivery address. We take full responsibility for any manufacturing defects identified and/or any genuine complaints that you may have for up to fourteen (14) days after the date of purchase. - Delivers between 10AM to 12AM. Orders made after 11PM will be delivered the next day between 8AM to 12PM. - Express charges are non-refundable in the event of wrong delivery details or the customer being unreachable via the provided contact number. - Express charges will be refunded if delivery takes place after the 4 hour delivery promise. - Express orders cannot be rescheduled. If a reschedule is required, please contact our call center on 1803535 and your order will be put into our regular delivery schedule (within 48 hours). Products ordered from www.xcite.com can be delivered only in Kuwait. We currently cannot deliver to any other location. All goods must be signed for by an adult aged 21 years or over, on delivery. You must ensure that you give the correct delivery address when printing the invoice that will enable prompt and timely delivery to you and other customers. 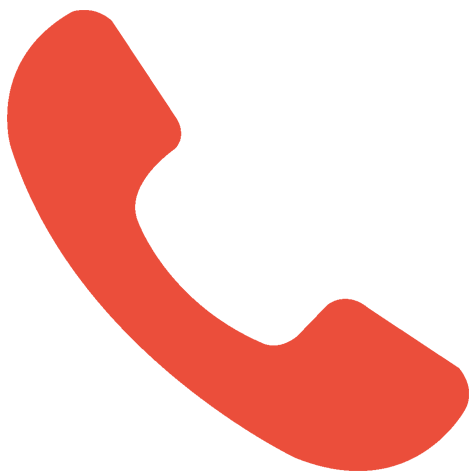 If there is a change in the delivery address after your invoice has been made, we cannot accept a direct phone instruction due to security reasons, you may contact our Customer Service Center by clicking here. We like to keep you informed of the status and time of your delivery. We will try to contact you before scheduling delivery to provide you information on delivery timings. We use our best efforts to accommodate your preferred delivery timings and date. However, you may note that such timings are for indicative purposes. The actual time of delivery may vary due to various uncontrollable delays that may occur. In case of absence of the customer, delivery is considered complete, if any family member or home house cleaner domiciling at the same address of the customer signs the invoice/delivery note. Products are considered as delivered in a good condition, on time, upon the acceptance of the delivery note by you or your representative. For Delivery and Installation Products, our Delivery & Installation team will perform a quality check in your presence. If you wish that the Product remains unboxed and installed on a later date, then you will be responsible for the safety of the unboxed Product and no claims for damage or missing parts (if applicable) can be made against us later. You should ask for your Products to be delivered within one month of sale otherwise we will have the right to sell the Product and refund the amount after deducting 20% of invoice value. 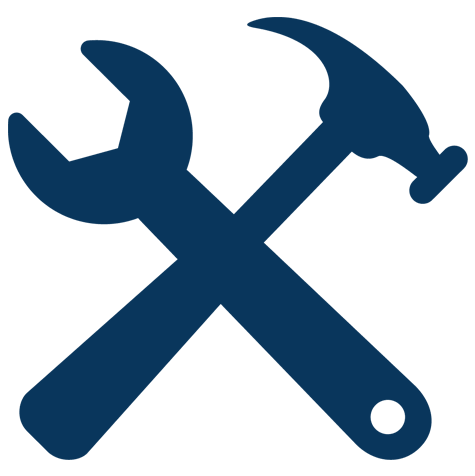 - Please make sure that any old air conditioning units are removed prior to our team arriving to install the new one, as we cannot re-install or move existing units. - Our installation team are only authorized to install new ACs with newly purchased pipes. This is done to ensure proper functionality of the unit, and to guarantee your satisfaction. Note: We will provide 5 meters of pipes free of charge for all purchased AC units above 18000 BTU and 3 meters free of charge for AC units above 12000 BTU. Every additional meter will be charged at 5 KD. - Our installation team is not authorized to penetrate glass, ceilings, or aluminum barriers for safety and maintenance reasons. - To ensure our team’s safety, and your satisfaction, all outdoor units will only be fitted at a maximum height of 3 meters. - Please ensure that electricity points are within 1.5 meters of indoor units to avoid any complications at the time of installation. Note: 36000 BTU AC units require an outdoor plug with 30 ampere power. - Your satisfaction is our only goal, therefore, our experts may refuse to install units that are considered to be under-capacity, and will suggest the correct unit capacity to be bought. This is to ensure proper cooling throughout the hot summer months. 22.3 Authenticity of information provided is the responsibility of the customer. Any information provided is Confidential and is not shared with any third party.